By Dan Ambrose: Without even the first blow having been throwing, WBA junior middleweight champion Miguel Cotto is already digging a big hole for himself in his rematch with the bigger, stronger and arguably better conditioned Antonio Margarito on December 3rd at Madison Square Garden in New York. Cotto had the brilliant idea of dumping his legendary trainer Emanuel Steward last week and has replaced him with little known Cuban trainer Pedro Luis Diaz Benitez. Few boxers have heard of him and it seems like a move that could be seen ultimately as undermining Cotto’s efforts to beat Margarito in their rematch. Everything had gone well with Steward, as he fixed the holes in Cotto’s defense and had him slugging less and boxing more, albeit with the help of constant reminders being given by Steward between rounds. Cotto will now have to face the Mexican tornado without Steward and I just don’t think his new trainer Benitez is going to be able to save Cotto from Margarito’s powerful punches. Cotto looked good during the first few rounds of his win over Yuri Foreman last year, but after the 3rd round, Foreman was really laying into Cotto with shots and the fight was even in the minds of many boxing fans at the time the bout was halted in the 9th due to Foreman hurting his knee and being unable to defend himself. And in his last fight this year, Cotto took punishment in the early rounds from 38-year-old Ricardo Mayorga before Steward reminded Cotto to get back to boxing to prevent Mayorga from having a stationary target to tee off on. 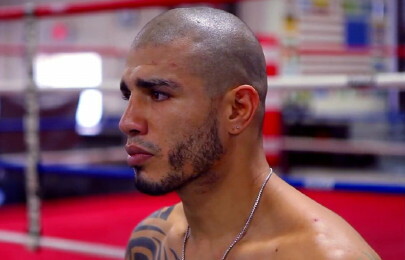 Cotto was then able to box well until stopping a tired Mayorga in the 12th round. I’m not so sure that Cotto will be able to box his way to a decision over Margarito without the help of Steward giving Cotto constant reminders not to mix it up with Margarito. « Brook vs. Berto: Isn’t this a step too far for Kell?